It’s no secret that I have a bit of a cookbook addiction. Every time I travel, I find myself in a bookstore perusing the shelves, looking for something interesting - a classic book I have been told I should own, a name or title that sounds familiar, a look at a region or culture I am interested in. Over the past few years, I don’t think I have travelled without coming home with at least a few new books in my suitcase. I remember the first time I ever went to New York City’s Kitchen Arts and Letters. I packed my suitcase and my carry-on full of books. I got to the airport and was told that my suitcase was overweight. “That’ll be $100 please,” said the agent. I dutifully paid, having learned a valuable lesson. Know your problem, face it, and bring an extra suitcase just for cookbooks. This has become my semi-usual mode of travel. 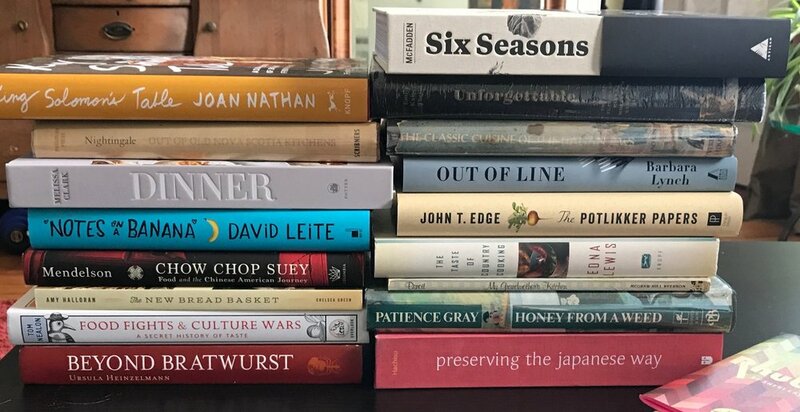 These are the books that have shaped my pantry, the way that I shop, and have led me to dig even deeper into their respective cuisines. Thankfully most of these books are all still in print, and easily available from your local bookseller or online. (But really, do yourself a favour, and order it from your local bookseller. They’ll love you for it, and tend to want to help you find even better books. I’ve known many a bookstore to take suggestions on titles that their customers have suggested to them). To be fair to each of them, I am listing them alphabetically by author. When most people think of Japanese food, they immediately go and think of sushi, tempura, teriyaki, or perhaps a bento lunch box special of all three. Although all three of these items are wonderful and thankfully easy to find, this is only a fraction of what there is to offer when it comes to Japanese foodstuffs. The real beauty of Japanese food comes in the breadth of foods known as washoku, or homestyle foods. Washoku literally means “food harmony” but for me, it means comfort. One of my first jobs in the food industry was in working at a Japanese restaurant. The menu wasn’t just sushi rolls and tempura lunch specials, it also had an extensive menu of washoku dishes, though they weren’t named as such. It was here that I fell in love with these comforting flavours. It wasn’t a cuisine that relied on bombast - it opened my palate to the importance of subtlety, and to the many uses of its base flavours (and techniques) found in dashi (arguably the base note flavour in so much of Japanese cookery), mild rice vinegars for acidity, and umami-laden shiitake mushrooms. Andoh’s book looks at recipes and ingredients in detail without being bogged down by them. 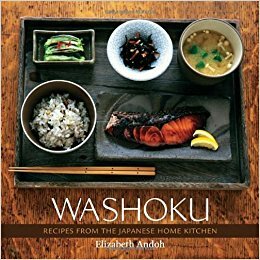 There is an extensive introduction explaining everything from the importance of washoku (U.N. designation) to the hows and whys of ingredients and how they are used in traditional japanese kitchens. The food is approachable, and deeply satisfying. I can’t tell you how many times I have made the oyako donburi, or how much I appreciate learning about how to use dash, which is now a staple in my cooking. Don’t know what to make for dinner? Make a dashi, steam some rice. While you’re waiting for the rice to steam, you have enough time to look into your cupboard and fridge, decide what needs to go into a pot/skillet and off you go. I’ve gone on record in saying that Hot Sour Salty Sweet was in many ways the beginning of my interest in cooking and food writing. In the interest of full disclosure, it’s important to say that Naomi Duguid was kind enough to write the introduction to my book, Pantry and Palate. 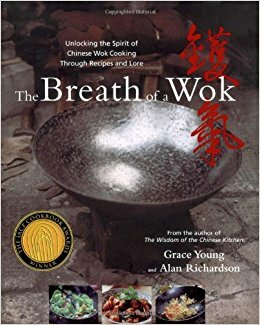 But before that, Duguid and her former writing partner Jeffrey Alford were, to me at least, two of the best cookbook authors out there. My copy of Hot Sour is well-loved, with stains on the pages for pho, pad thai, and som tam with long beans. I learned to appreciate the funk of fish sauce that for a while I cooked almost every meal with it. So much so that my former partner once asked me to make a meal without it for a change. I found myself making pho on a regular basis, and asking friends to drive me to the one store in town that would carry green papaya. Tamarind became a regular part of my pantry. I’ve been in bookstores and seen people pick up the book, and made a point to go over to them and tell them that if they want to cook southeast asian food, then they have to own that book. As for Home Baking, I was a very novice baker who was mildly afraid of kneading dough when I picked it up. I didn’t know what a biga and a poolish were (pre-ferments of small amounts of dough that bring flavour to a finished yeasted baked good) at first, but now find myself making them without thinking every time I bake bread. Home Baking tells you all you need to know in it’s title - these are recipes and foodstuffs found in homes, not professional bakeries. These are things that mothers and fathers and grandparents and children have been making for generations. Tested, used, baked, eaten, and repeated. Although I have a respect for other baking books - specific and exhaustive like Rose Levy Berenbaum’s The Pie and Pastry Bible or uber-trendy like Chad Robertson’s Tartine books - this is a perfect introduction for a beginner who wants to learn the basics or the professional who wants to look at baking through a familial lens. It’s unfortunately out of print, but ask your second hand bookseller. I’ve seen copies in stores in Halifax, Toronto, and New York City. It’s worth the search. Although we now live in a time where vegan food is no longer something that needs to be explained, and vegetarian cookbooks are (rightly) no longer relegated or designated as ‘granola’ cooking, they can still occasionally be a tough sell for your Average Joe. 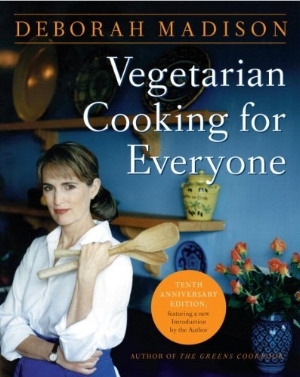 Deborah Madison’s book is smart in that it eliminates any possible barriers to its sale or usage by stating on the cover, “If you don't attach a title to your eating style, you can cook everything in this book with meat, fish, or fowl. This is Vegetarian Cooking for Everyone.” Smart move Madison (and your editors). She invites readers and users to not only embrace vegetables, but defeats every excuse you may have to not cook/use a vegetable by giving you tips on buying, storing, and cooking, as well as what kind of flavours and textures to expect. Too much squash sitting at the back of the fridge and tired of making soup? There is something in this book. Your farmer’s market has a stand selling salsify? Not a problem, it will explain what it is, and how to use it. Bored with carrots? Madison will help you out. I pull this book out at least every few weeks.